Best backcountry coffee maker, so far. Fill the filter with coarse ground coffee, pour hot water over it into the bottle, cap the bottle, invert the bottle and wait a few minutes for the coffee to brew. 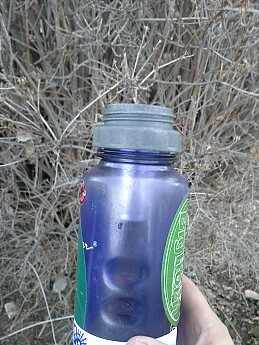 Then unscrew the H2JO, dispose of the grounds and drink the coffee. I liked this method best because it made cleanup very easy and the H2Jo doesn't leak; it's very well made. Put coarse ground coffee inside the water bottle, screw the H2JO into place and then pour in the hot water. Shake the bottle, let it sit then pour the coffee into a mug, leaving the grinds behind in the bottle. This means you have to rinse the grounds out of the bottle later, but can make stronger coffee if you like it that way. The instructions for each method came on a very durable plactic card, the H2JO had very little packaging (I appreciate minimalist packaging) and they were very easy to use. 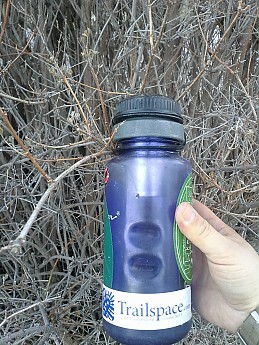 So to carry this thing in your pack you just leave it inside a Nalgene-type bottle. It takes up NO extra space and, how much safer could it be when it's inside an almost indestructible water bottle!! Using it requires no set up and the infuser method makes cleanup very easy. EXTRA BONUS! This company is based in Spokane, WA!! Two hours from me so I get to support local innovators and businessmen. The owner is an avid fisherman too, I like this guy. I can't say that about all the people who make my gear. I never thought I'd be so happy with such a minor product but maybe it's just the coffee talking. H2JO next to the bottle, notice the cool stainless steel basket. You can't see the tiny perforations in it very well, sorry. H2JO installed. It takes up almost no room and it's protected by the bottle, and the cool TS sticker. Note: the hot water causes the plastic to expand. If you don't re-tighten the lid after filling with hot water it will leak. Cool product. I gotta tell ya. 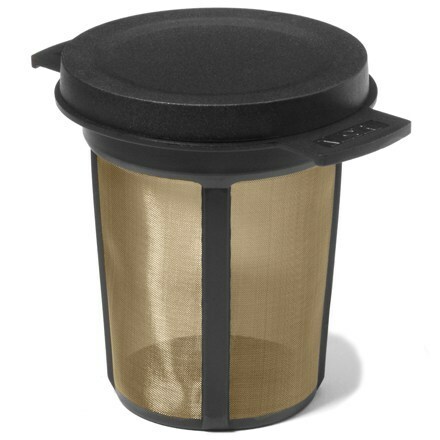 Simple coffee filter, which is very cool. I’ve long tried to figure out the best way to make coffee on the trail. I’m kind of a coffee snob… so it’s been a challenge. 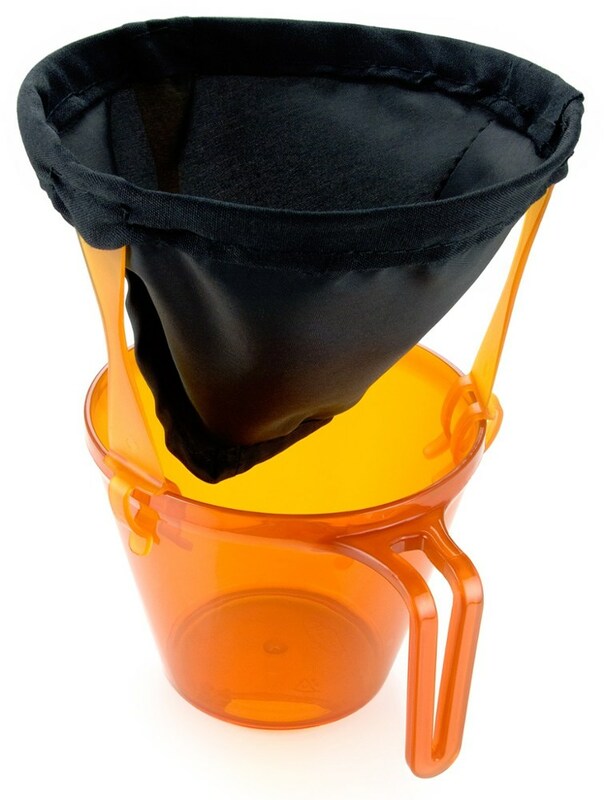 I used these draw string bags before that were intended for loose tea – which work well. But then I found this which is VERY great and makes good coffee, AND is simple. Nice. Sure - Bialetti is the king. I use it daily at home because the coffee is superior. I can use it for car camping but backpacking I need something that's minimal (yeah - I'm a minimalist too). This does the trick, but gives a bit of a muddy coffee... until you perfect the grind : water ratio, I suspect. 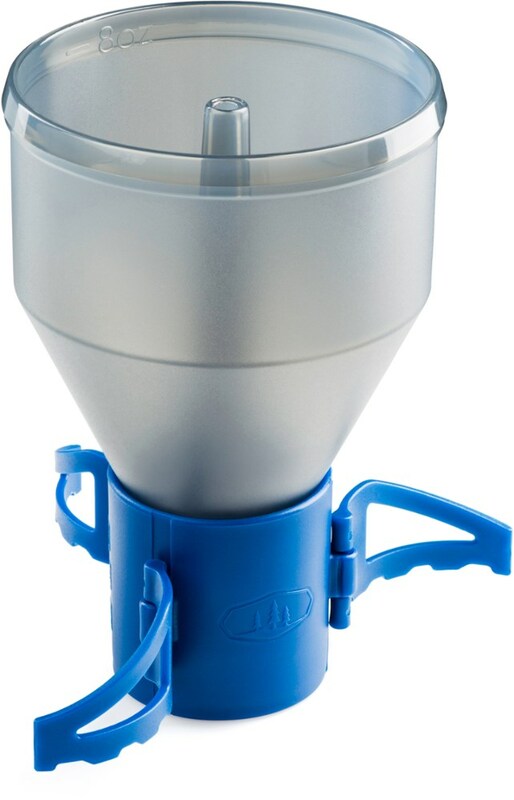 Awesome product for making coffee with minimal cleanup. Works and seals flawlessly with the UVPE ultralight Nalgene bottles. I just put the grounds in the H2JO and pour my ~200°f water through the grounds. Yes, if you use a medium grind like Folger's you will get some silt, not a big deal for me but I know some who can't stand silt in their coffee who would want to use a coarse grind coffee. If you do the methods GSI recommends, infuser or cowboy you will get more silt in your bottle than just pouring through but don't have to use as much coffee for each cup of water. 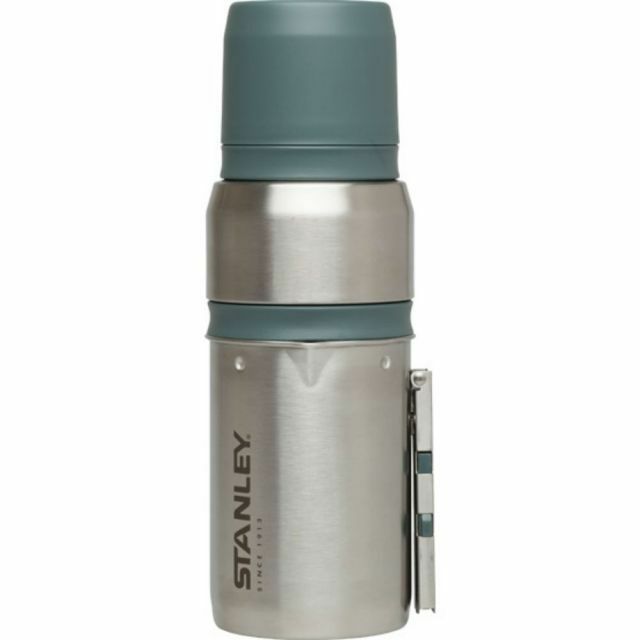 If you are looking to use this with a plastic Nalgene, rather than a metal one, I believe the Ultralight is a better choice than the heavier duty Everyday Tritan. 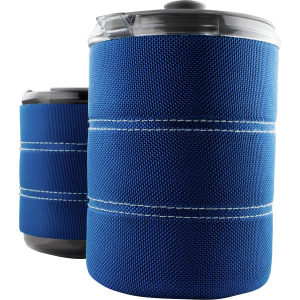 The UVPE ultralight Nalgenes are rated to withstand temperatures up to 248°f while the Tritan Nalgenes are only rated for 212°f. 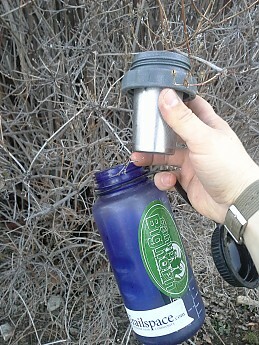 Combining the H2JO with a Nalgene and cup that nests makes for a nice compact coffee kit. If you are a coffee (or tea) addict looking to go lightweight and simple but don't want to drink real unfiltered cowboy coffee, this is the setup you want. Welcome to Trailspace, Colorado Minimalist. Thanks for sharing your first gear reviews with us. This filter does a very good job making coffee. 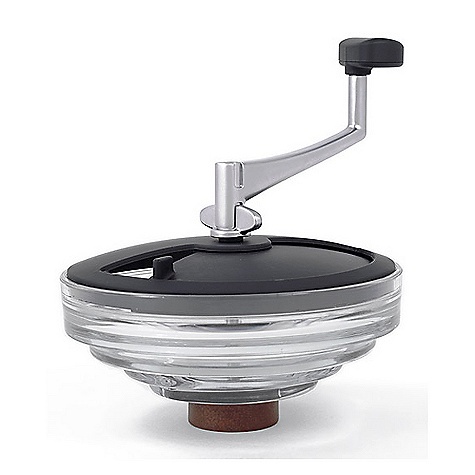 It keeps the grinds out of your coffee and works just as advertised. An insulated cover for your water bottle is a must when using this device. None! Just don't expect it to do something it was not designed to do. I have a number of coffee making devices. I am always looking for another. This one is a very good choice. It is easy to use. 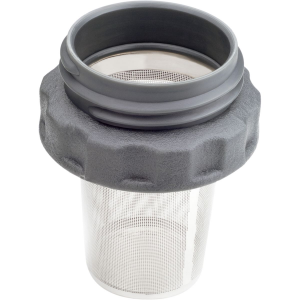 The mesh is very fine so it keeps grounds out of your coffee and in the filter where they belong. It does not require paper filters. Less stuff to carry and or forget. It's easy to clean, just rinse it out. Easy to install, it screws on to the water bottle just like the cover. Easy to use just turn the bottle on its side so the coffee contacts the hot water. Give it an occasional shake and you're good to go. I advise you to make or buy an insulated cover for your water bottle. This will keep you from burning your fingers and keep the coffee warm longer.